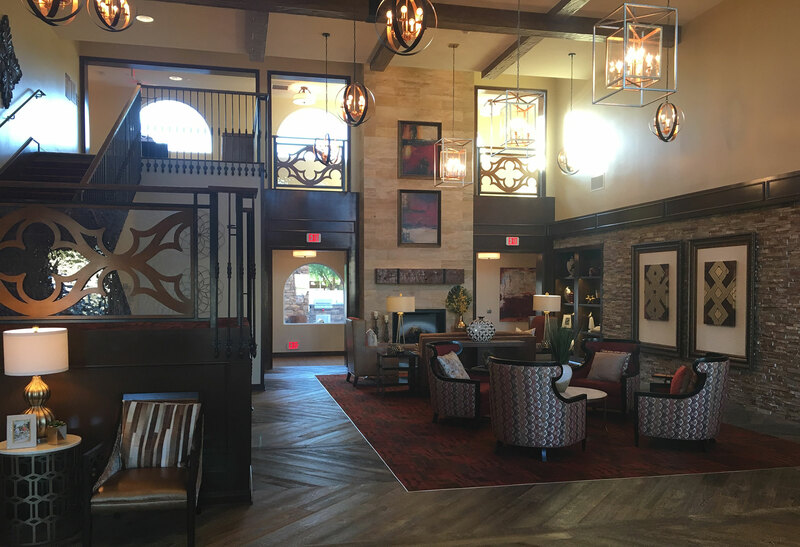 When you or your loved one is ready to live within a cared-for community dedicated to health, wellness, and an intellectually stimulating future, look no further than Vineyard Ranch Senior Living. Your private, beautiful and tranquil home is nestled in Southern California’s wine country – a natural setting for activities, both within the community and outside. Vineyard Ranch Senior Living is dedicated to senior living at its most fun. Choosing to move or place your loved one into this community will be the most meaningful decision you can make. The ownership and management at Vineyard Ranch supports your family decision. They believe that a “healthy” future in a home community focuses not just on the physical needs of its residents but also on the psychological, social, intellectual and enjoyable aspects of life – free of the worry that day-to-day solitary living means. At Vineyard Ranch residential living is measured not only by the Wellness Edge, but also by the Happiness Edge. For residents that enjoy their space and independent lifestyle, but need some assistance and care nearby. Assisted living at Vineyard Ranch provides the perfect balance. Alzheimer’s and dementia doesn’t stop our residents from enjoying life. Our caring staff and memory care program provides an enriching, caring, and safe living environment. See photos of our senior living community and the luxurious amenities at Vineyard Ranch. Or contact us to schedule a visit & actual tour of the community! 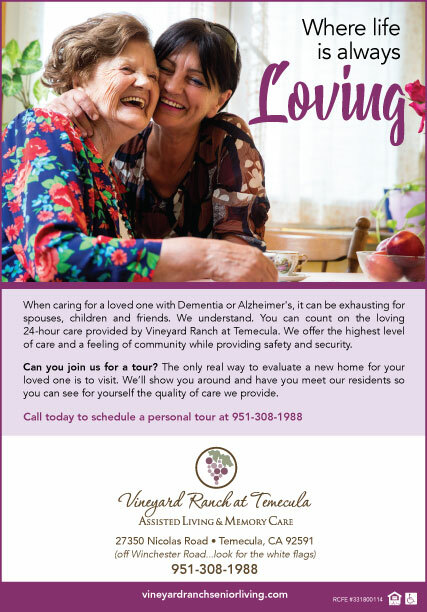 We are currently looking for talented individuals to join our team at Vineyard Ranch Senior Living, in Temecula.